Prizes: For each defeated opponent: 50 points! Winner gets an additional 100 points! 24 different boosters from Magic's epic past! Extra: Participation foil for every player. 10:00 - 10:30 FREE Minimasters! Structure: 1 match, play Magic with just one booster! 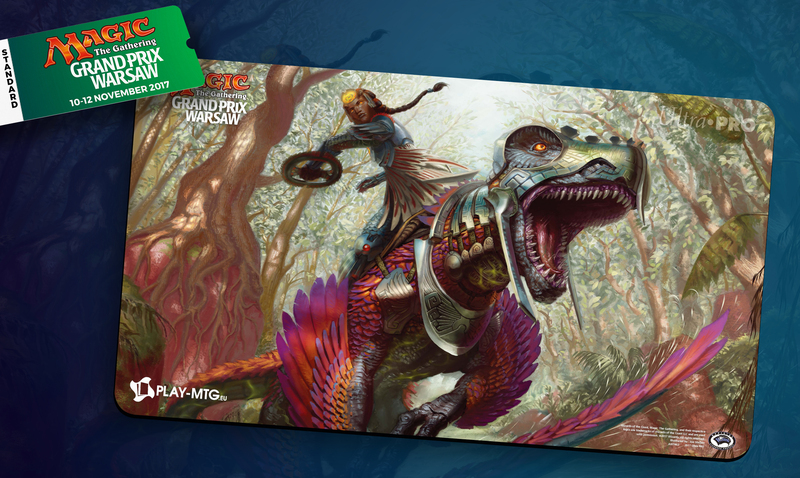 Extra: All 6-0 players will receive an additional FOIL UNCUT SHEET! Extra: Play 36-booster 2HG sealed with your best buddy and build some broken decks! I don’t want to participate in the Main Event, can I enter the venue? Entrance to the venue is free. You only pay a fee for the events you participate in. If you only want to play side events, you do not need to pay for the Grand Prix Main Event. How can I register for the Main Event? You can register online on www.tournamentcenter.eu or on site during registration hours (if the GP is not sold out). No, registration on Saturday morning is no longer possible. How can I check if my online registration is confirmed? Do I need to pass registration on site if I registered online? No, if you registered online, your name will automatically appear on the pairing boards for the player meeting. You do not need to pass registration on site. What is a sleep-in special registration? A sleep-in special registration allows players with byes to skip the player meeting and to come to the tournament at a later time. How do i send in my decklist? if you have 0 byes: you need to hand in your decklist at the player meeting at 9:00 on Saturday morning. When will I get my goodiebox? The goodiebox will be distributed by judges during the players meeting. If you have a VIP experience you will get your goodiebox at the VIP lounge when signing in at the lounge. I registered but can not attend, can I get a refund? I have never been to a Grand Prix before, what can I expect? Please have a look at this introduction video. Decklists can be found in the venue. You can fill these in at your arrival. You can also download them here. What is the consent form, and why do I need to fill it in? 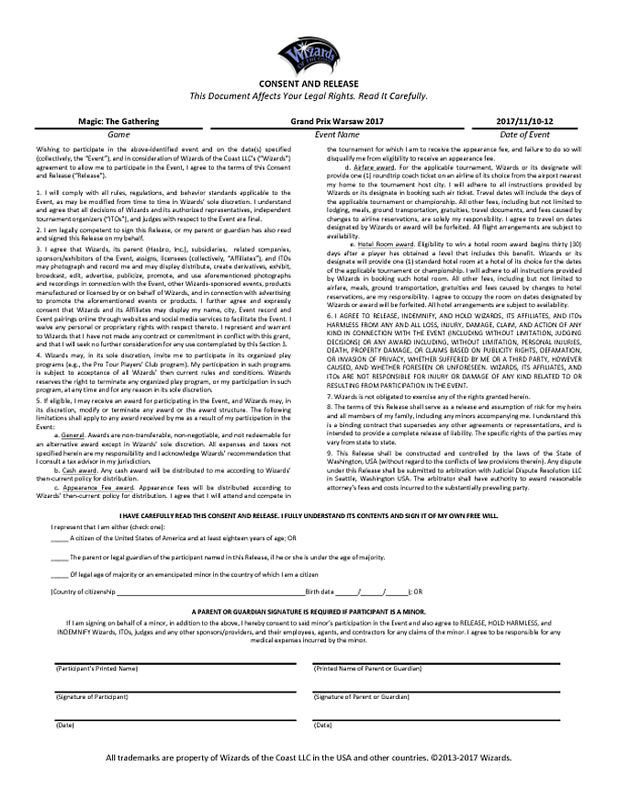 Players must fill in a consent form to compete at any Grand Prix. By signing this document you agree to adhere to all conditions and requirements for entry and participation in the Grand Prix. Forms can be downloaded here. When and where do I need to go to start playing in the Main Event? The Main Event starts on Saturday morning at 09:00. The head judge will make an announcement and will ask everyone to have a look at the pairing boards. Next to your name, you’ll find a table number where you are requested to take a seat. If you have any questions at your arrival, you can go to the Info Point near the entrance of the hall, where you can get more information. I have byes. Can I skip the player meeting at 09:00? If you have byes, you can only skip the player meeting, you need to be in the hall at the start of your first round (depending on the number of byes you have). I have byes, when does my tournament starts? Your name will appear in the pairings at the start of your round, you don’t need to sign in anywhere if you registered online. When does Day 2 start? 09h00, doors of the venue open at 08h30, don't be late. Am I allowed to trade, sell or advertise in the venue? Buying/selling cards with anyone except for our authorized dealers. Advertising without receiving permission from the on-site Event Manager. Offering to alter cards in exchange for some form of compensation. Using the official #GP hashtag in order to facilitate breaking any of the rules listed above. Use of playmats that display prices (more commonly known as buy mats) and/or price tags/stickers. Please note that failure to obey these rules may result in all involved parties being removed from the event without refund and banned from attending future events. I’ve won a prize in the Main Event! Where can I collect it? How can I collect my Side Events prizes? First you need to collect your Play Points, these will be available at the Info Point. Then, you can exchange your Play Points for prizes at our Prize Wall. The Prize Wall works like a shop where you can buy items for a certain amount of Play Points. 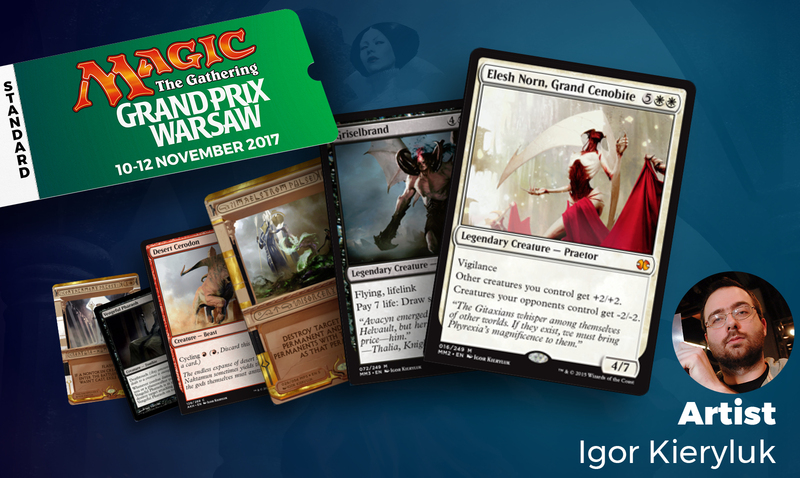 Typically a booster of the current set is worth 10 Play Points, we also have boxed product (From the Vault, Archenemy …), single cards and MTG Goodies available. For all Tournamentcenter GP’s in 2017 Ultimate Guard accessories will also be available!